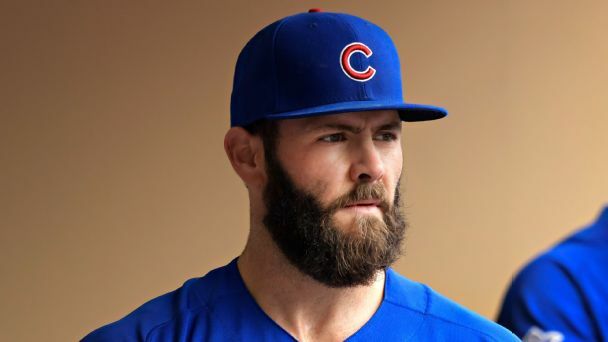 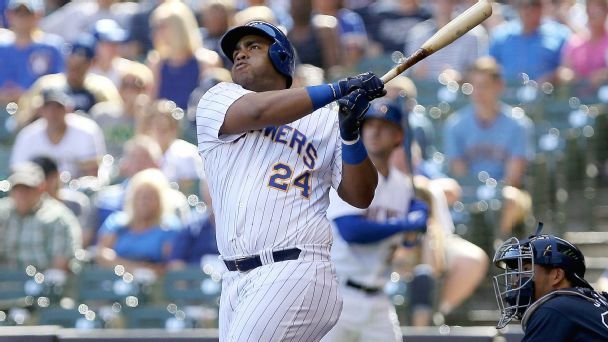 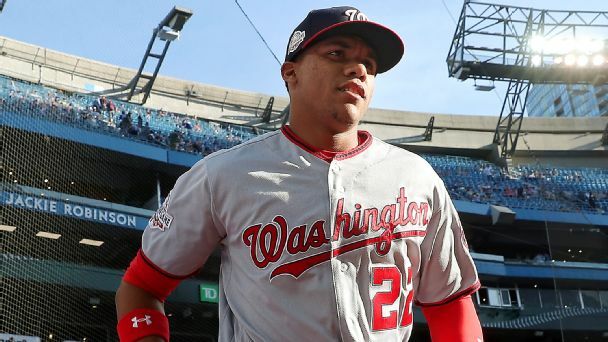 Herrera exited Wednesday's game against the Mets due to a cramp in his right hamstring, Scott Lauber of The Philadelphia Inquirer reports. 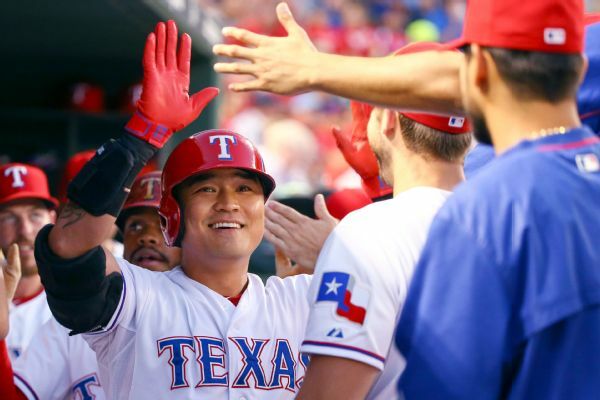 Shin-Soo Choo is out of the Rangers' lineup with a sore right quad. 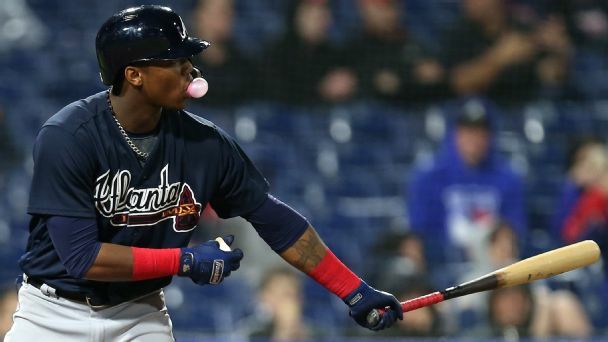 Choo's 41-game on-base streak is tied for tops in the majors this year. 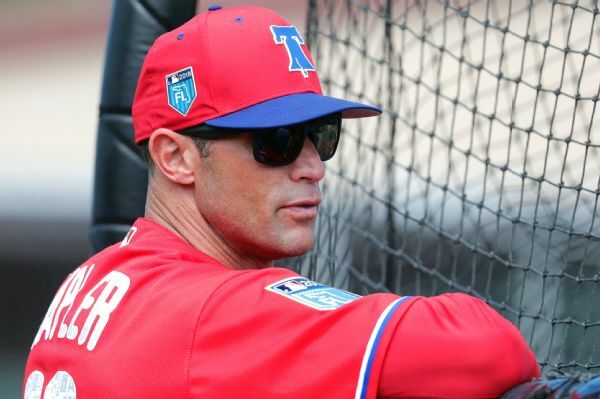 He could pinch hit, manager Jeff Banister said. 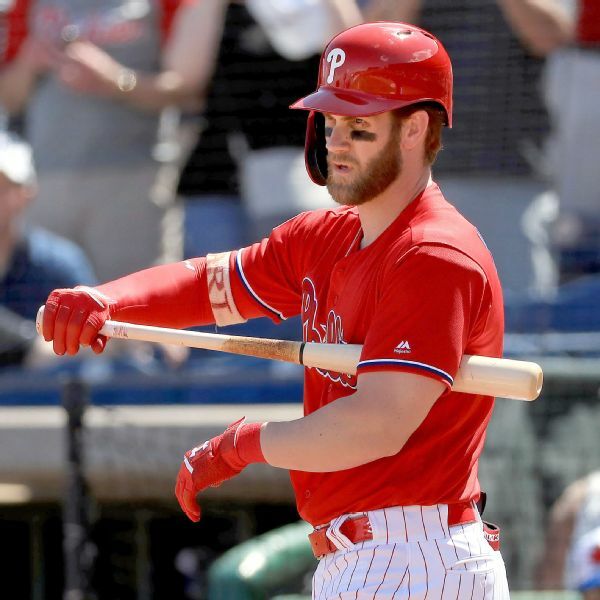 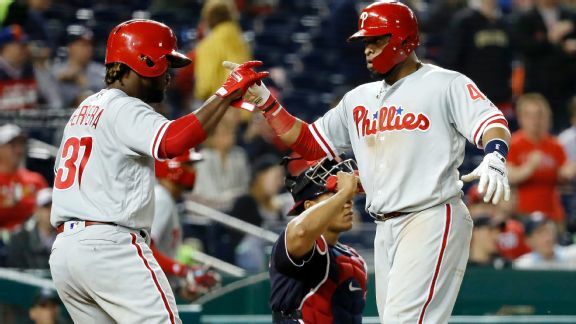 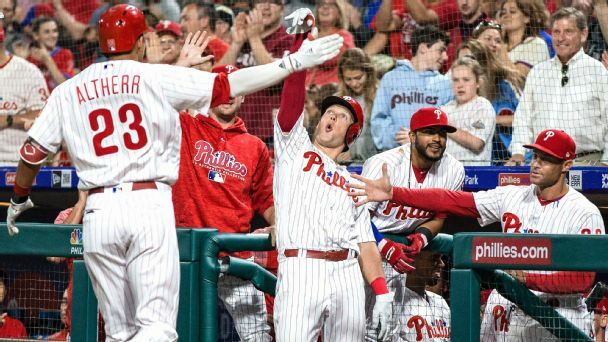 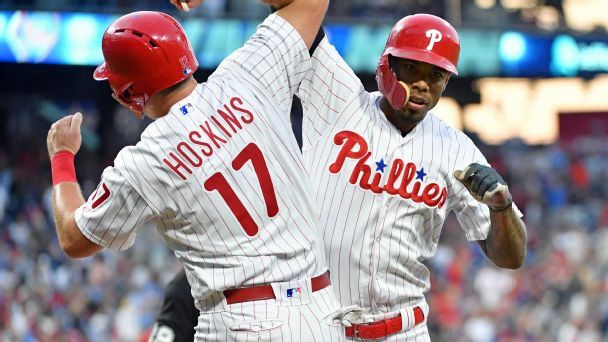 With a white-hot Odubel Herrera and his five-game home run streak leading the way, the young Phillies are proving to be a threat in the NL East.